Located in Citrus County, Floral City is an idyllic small town from a storybook. With a flawless natural environment full of centuries-old oaks and sparkling lakes, Floral City captivates those seeking a quiet, peaceful pace of life. Perhaps one of the most photographed streets in the nation is Orange Avenue. 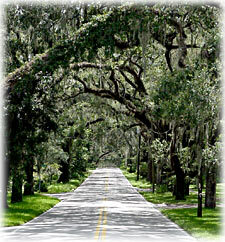 The famous street is lined on both sides by ancient oak trees, whose branches form a thick canopy over the road. Hanging Spanish moss completes the historical flavor of the area, in addition to the traditional houses that peek from behind massive tree trunks. The area has wonderfully winding roads for weekend country drives. Stage Coach Trail is especially suited for a relaxing afternoon excursion. 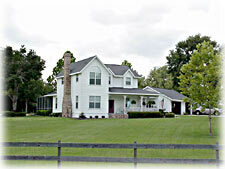 Take in the magnificent countryside, the sprawling farms and landscape, rolling hills, and natural wildlife. For those who love space and large properties, Floral City is ideal. 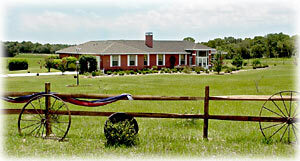 With the land divided into large tracts, there are quite a few horse and livestock farms, as well as country ranches. The extra space also adds to the feeling of privacy, exclusivity, and security. Floral City, while a small town, is conveniently located near other larger towns. Inverness is just a short drive away, and offers much in the way of recreation, shopping, and dining. 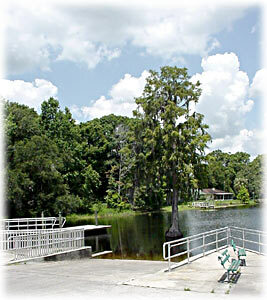 Brooksville, in neighboring Hernando County, is a beautiful town, rich in history and natural beauty. One of the most popular events Floral City sponsors is the annual Strawberry Festival. The festival draws thousands of visitors each year, who come to sample the sweet and juicy fruit. Artists also display their works, ranging from paintings to crochet work and wood work. And, as always, there is plenty of food, from strawberry pie to barbecue. For those seeking a quiet retreat to enjoy the retirement years, or a safe and secure community to raise a family, Floral City is the perfect place to do so. Discover Floral City and Citrus County to see what it can offer you.